Kristen and I are convinced that our campus is 10 degrees warmer than the surrounding area. It’s a depressing thought when you break a sweat leisurely strolling to class- and trust us, sweaty statistics class is not a fun time. It’s uncomfortable. 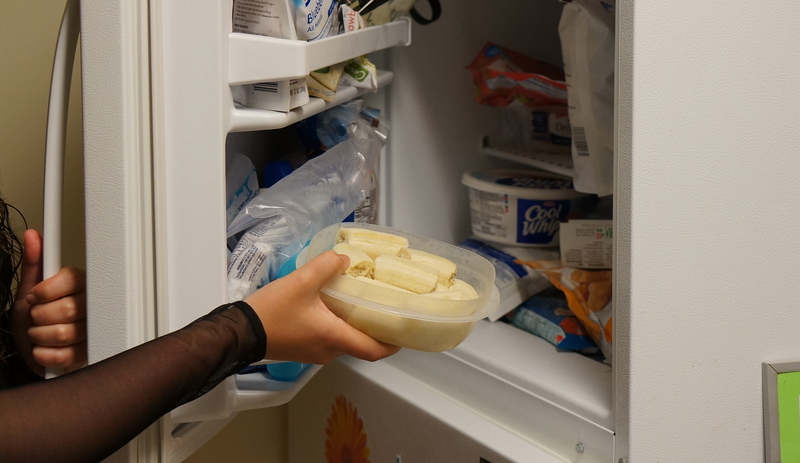 After making our frozen chocolate peanut butter banana bites, one of our followers named Andrea suggested we try making frozen banana ice cream that she had posted on her blog. After a long day at the pool this weekend, it seemed to be just what the doctor ordered. This recipe fits into our recent obsession with frozen shenanigans (have you seen our frozen aloe cubes? ), plus it’s probably the healthiest food swap I’ve ever heard of. Eating frozen bananas instead of ice cream? Talk about saving calories! Of course, food swaps only work if you swap in something delicious, so we decided to call shenanigans. All you need for this recipe is bananas! We use five, and it made about 3 1/2 cups of ice cream. 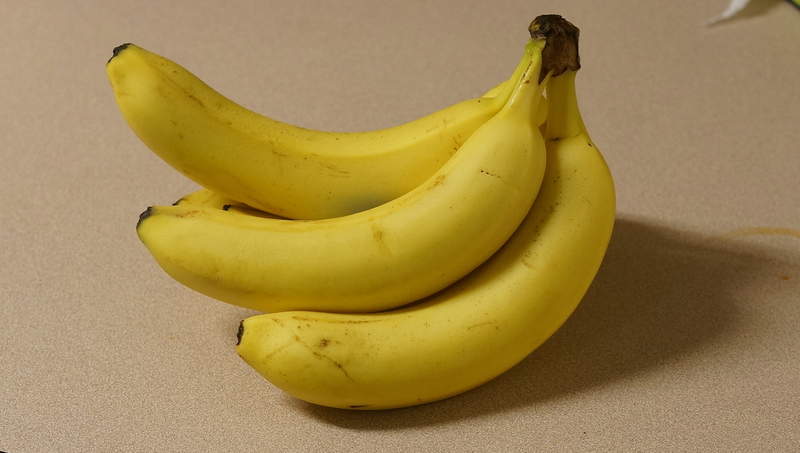 Peel and cut up your bananas and put them in the freezer overnight. Although the original post said to cut the bananas in to slices, we were clever and just cut them into chunks. Learn from our mistakes- blending the bananas would’ve been a LOT easier if we had cut them into slices! 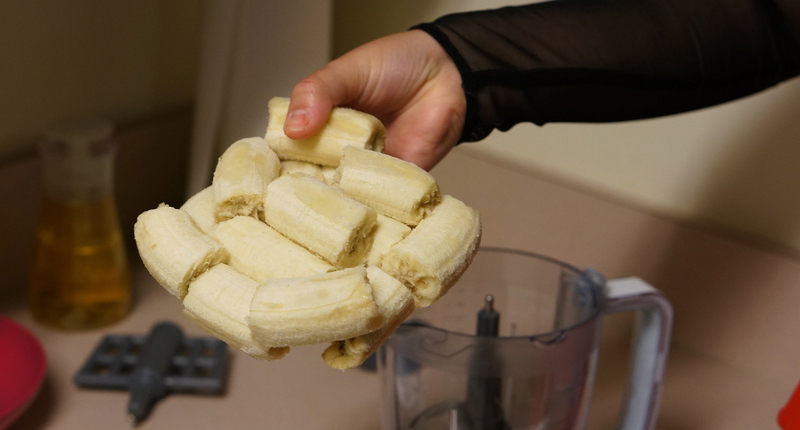 Again, learn from our mistakes- we put our bananas in a tupperware, so once they were frozen they came out like the picture below- all in one chunk! We suggest you place your banana slices on a pan like the original recipe says. Now you’ll need to blend the bananas using a food processer! We tried to blend all of our bananas at once, but that didn’t really work out as planned. We ended up having to take half of them out and blend them in sections. We suggest that you start out blending just a few banana wedges at a time. As you blend the bananas, they will become crumbly. Blend them until there are no big chunks left. We promise, this is how it is supposed to look. 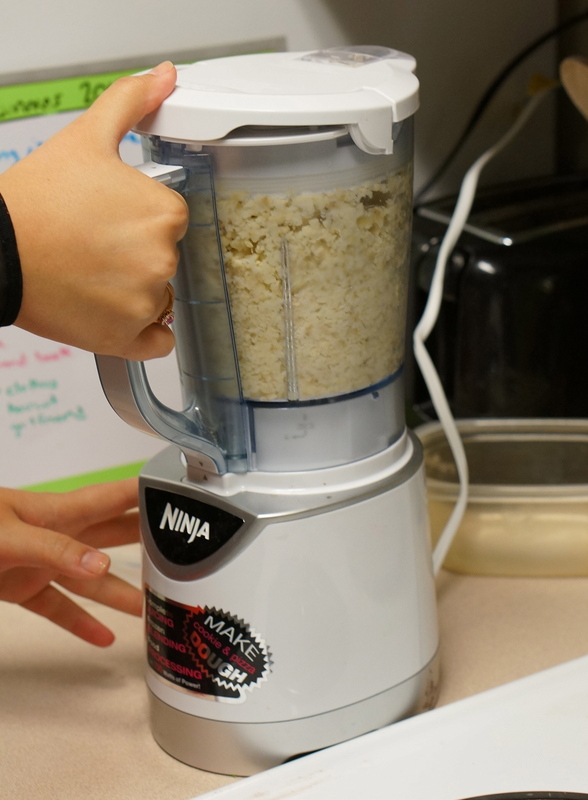 As you finish blending each round of banana chunks, take out the banana crumbles and put them into a bowl. Continue this process until all banana chunks have been blended and placed in the bowl. Stir the banana crumbles for a minute or so, and it will magically turn into creamy banana ice cream! We love this shenanigan, because it works so effectively as a substitute for ice cream. It’s texture is spot-on, and it tastes surprisingly sweet. Plus, it’s a much cleaner version of ice cream- you get to avoid all the preservatives and crazy ingredients you can’t pronounce. Also if you add a little chocolate syrup it would be amazing! Lets compare the nutrition facts in 3/4 cup of this ice cream to store-bought ice cream, shall we? Thanks again for the suggestion Andrea! You can check out her blog here. Be sure to check out some our other dessert shenanigans! I made another version of this last night using frozen berries, frozen banana and a enough coconut milk to make it blend together smoothly, I was surprised at just how much like icecream it was and with out the guilt! I love making banana ice cream, but I also add in a little peanut butter and some unsweetened cocoa powder. 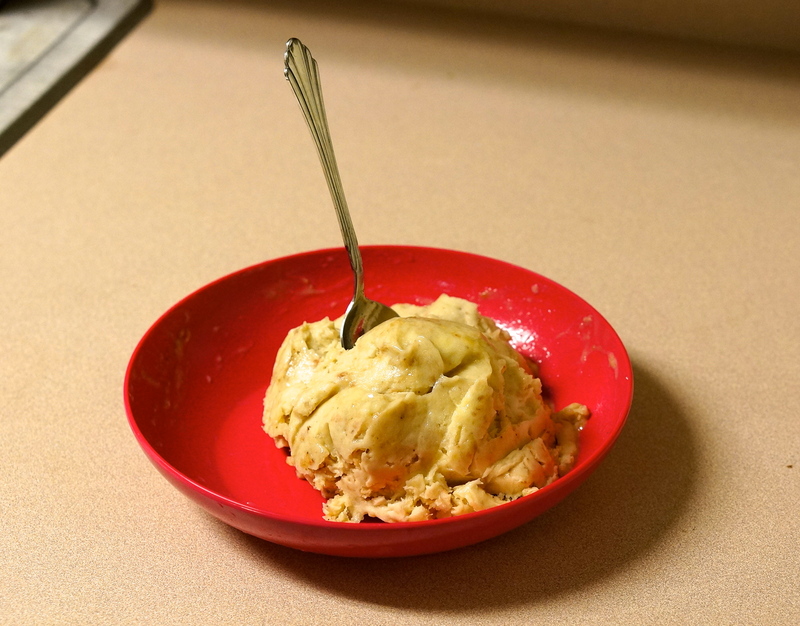 I tried the banana ice cream and it was so easy and tasted amazing!! Added some strawberries and it was great!